After some apparent corroboration of last week’s leaks, it seems Activision may be sending Call of Duty back to where it all started: World War II. For those who missed the news from last Thursday, YouTube Channel TheFamilyVideoGamers shared apparently leaked marketing materials from a yet-unannounced Call of Duty: WWII. You can check out their video at the bottom of this page. Today, Eurogamer has reported that WWII is the title of the next entry in the franchise. This news comes almost two months after Activision said 2017 would bring Call of Duty “back to its roots” during an earnings call, where they also admitted that 2016’s Infinite Warfare “underperformed.” This fall marks nine years since the franchise put out an entirely World War II-set game. Despite the disappointing sales of last year’s title, it’s nearly impossible for that to be the sole reason for the historical setting’s return. Call of Duty games are developed over three-year cycles by three different studios (that we know of—they could always announce a fourth), namely Infinity Ward, Treyarch and Sledgehammer Games. As Sledgehammer’s last at-bat was their 2014 debut, Call of Duty: Advanced Warfare, this year would mark their turn, and they would have been working on the new title for close to three years already. 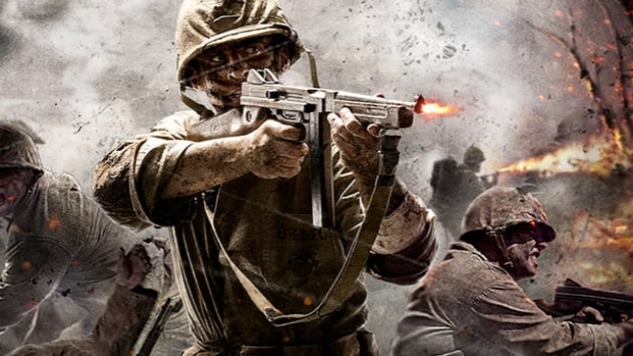 The studio’s co-founder even expressed back in 2014 that he’d very much like to re-explore the World War II shooter with the technology of modern consoles. Today’s news should also be taken with the knowledge that the previous two (or three, if you count Modern Warfare Remastered) Call of Duty titles were leaked or teased around this time last year and in 2015. As an official announcement seems imminent, be sure to stay tuned to Paste for news of the likely reveal of Call of Duty: WWII.